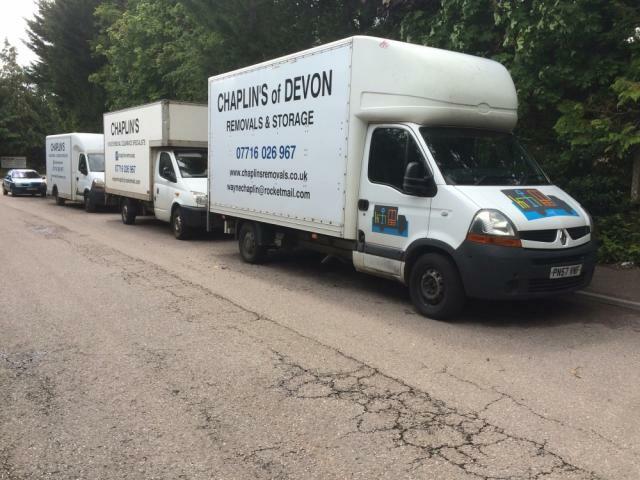 At Chaplin's Removals we pride ourselves in providing both a national and international removal service, whilst maintaining valuable local expertise and quality service with a personal touch. Based in Tiverton, we are committed to ensuring your move goes smoothly whether you are relocating locally, nationally or even to another country. Here at Chaplin's Removals we know that moving home can be extremely stressful but with our expert help, your journey from one property to the next will be as seamless and worry-free as possible. With many years of industry experience and a highly trained house removals team, trust us to ensure that everything runs like clockwork. From the initial quote, throughout the planning and packing stages, and right up to the actual move day, you can rely on our team to tailor a personalised service that will take care of all your moving requirements. Our flexible service options cover all your needs, from professional packing and safe, secure storage to specialist removals for valuable possessions. No matter what you need, the team at Chaplin's Removals will ensure a personalised service and safe transit of all of your treasured belongings. Confident in our expertise and experience in the industry, we carry out every job to the exceptional standards our customers deserve.